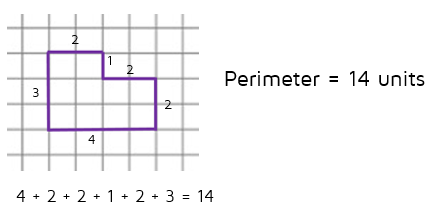 ​What's the Difference Between Area and Perimeter? ​If you've ever switched the two of these up before, you're not the only one! 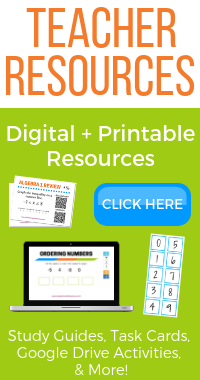 The goal of this lesson is to help you understand the difference between area and perimeter. In simplest terms: area is the amount of space inside a shape, and perimeter is the distance around the outside of the shape. Let's look at some examples together. ​Area is the number of squares that fit in the inside of the shape so it is always measured in square units​ (square meters, square inches, square feet, etc.). Perimeter measures the distance around the outside of the shape. Think about it as if you're about to put a fence around the outside of the shape and you need to know the length of the fence. If you count the spaces around the outside of the shape below, you'll find that the distance around it is 14. This means the perimeter is 14 units. Perimeter measures length, or distance. It is always measured in regular units​ (feet, inches, meters, etc.). Can you answer these area and perimeter questions on your own? Click the START button below to try a practice quiz.